As online marketers, we are addicted to and obsessed with collecting leads. We count how many come in (and pat ourselves on the back when they do), we track where they came from (and allocate more budget to those channels), we optimize landing pages, enhance SEO strategy, raise budgets, tweak designs, track SERPs...and then point fingers at the sales team for not turning enough of our leads into closed sales. Like many obsessions and addictions, this one, too, is self-destructive. Leads are important; they are the fuel to the sales machine that powers business. But leads are not the ultimate goal, and we must never forget that. Let’s be clear: the ultimate goal is revenue. And revenue is generated from sales — not leads. Our goal as marketers then, cannot end at lead capture. Within B2B brands, there has to be a sales and marketing alignment. That means we must consistently nurture those leads as they progress through the buying cycle toward the buying stage. This is an incredibly vital part of any B2B online marketing strategy. To be effective online marketers, we must cure our obsession with leads; and instead, develop a healthy addiction to sales. 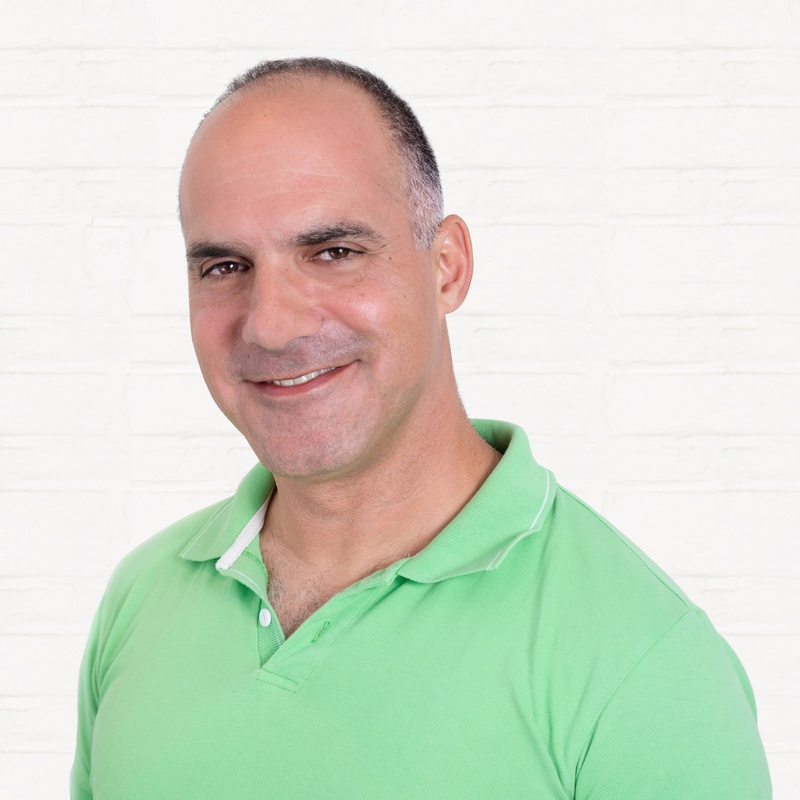 One way to do this is by creating a partnership between the sales and marketing departments, or “smarketing.” The goal with this is to create an integrated approach to sales and marketing. This includes communicating about and establishing shared goals, so the two teams must work together and are jointly accountable. This helps to improve lead screening, sales, and ultimately revenues. In order to make smarketing work, it’s first important to know the differences between MQLs and SQLs. A Marketing Qualified Lead (MQL) is a lead that is more qualified to become a customer but is not ready to be sold to right at this moment in time. These might be leads that have visited your website and requested a buyers guide, for example. They will need to be nurtured a bit more until they are ready to be passed on to a sales person. A Sales Qualified Lead (SQL), on the other hand, is a contact that has moved further down the buyer’s journey. These leads have generally been pre-qualified and are ready to be approached by the sales team. Knowing the distinction between these is key when it comes to approaching leads. And this is where it’s really important for the sales and marketing teams to be on the same page, both in regards to where leads are in the buying cycle and how best to approach them. Approach MQLs too early and you could lose them, while not paying attention to SQL means you’re missing out on the opportunity to secure a new customer. 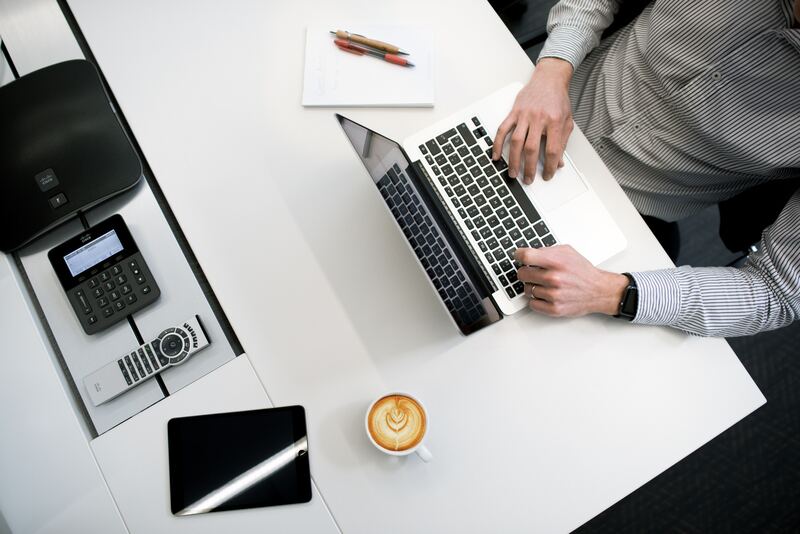 Just as lead generation requires a strategy and a plan, advancing those leads through the buying cycle doesn’t happen miraculously on its own. Nurturing leads is an important element in marketing strategy; one that takes forethought, design, and testing. B2B marketing automation solutions like HubSpot exist to systematize the lead nurturing process. Regardless of whether you have the need (and the budget) for one, you still need lead nurturing strategies. Even in a macro sense, there isn’t industry-wide agreement about the stages of the buying cycle. Some experts claim 7 stages, others show 3; and those 3 or 7 seem to change slightly depending on the source. But even if there were macro agreement, it would not change the fact that in a micro sense, each company may have different stages. Planning your lead nurturing requires understanding how these stages apply to your product. For example, higher-priced products may have more drawn-out stages. Well-known companies may be automatically considered in the second stage; while the lesser-known may need to invest more in this stage to be included. Very technical products may need lots of guidance through the evaluation stage. Make it a point to understand your product and its own buying process stages. In addition to the products’ effects on the buying cycle, your buyer personas may also shift things around. For example, if you target small business owners or solopreneurs with a low-priced package, they may move quickly through the stages and advocate extensively if they like your product; while targeting high-level executives of large corporations with an enterprise package will require much more nurturing and a strategy rich in various types of content. It can be difficult to create buyer personas from scratch, but there are a few tools and resources out there that can help. 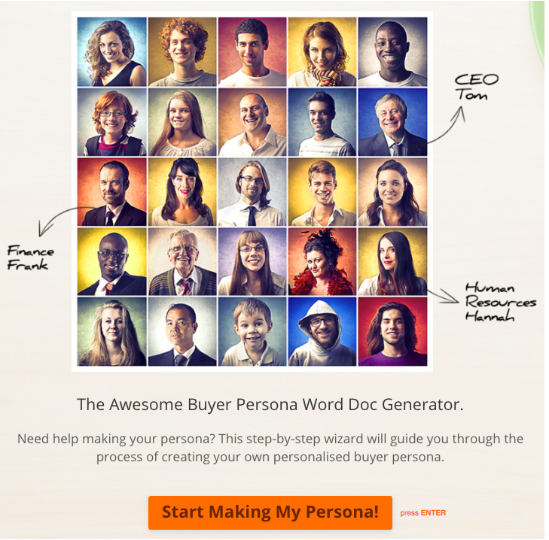 HubSpot created the MakeMyPersona tool. It’s a “step by step wizard” that guides you through creating your own persona document. Xtensio has also created a free buyer persona tool as well. Use it to develop one or many personas as you need for your brand. Once you have a firm grasp on your stages and target personas, you can create segments for your lead nurturing campaigns. 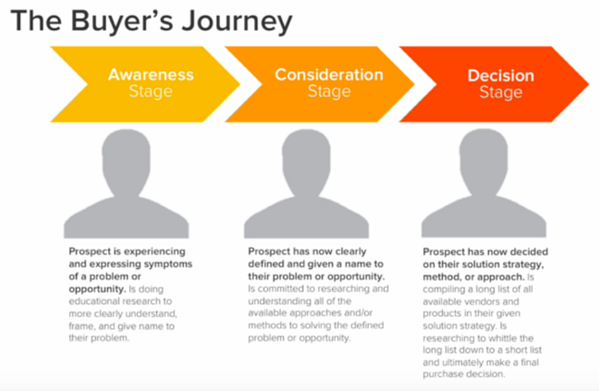 This becomes very important as your target personas will respond to different content depending on the which stage they are at in the buyer’s journey. A company that is in the awareness stage, for example, is researching a problem they are experiencing, so they would respond well to content that is geared towards informing and educating. It is also important to use buyer personas to help develop different types of content at this stage. Content can and should be created based on your understanding of the needs, questions, pain points, challenges, and goals of your specific target customers. The key to creating content around your particular buyer personas is when they read it, they will feel as if you are speaking directly to them and specifically addressing their hopes and fears. This really helps to build trust. You will need to map the content you have (and create new content) to target specific buying stages. For example, prospects at the “top of the funnel” stages of awareness and consideration will need thought leadership content that explains trends and benchmarks. Depending on the type of product you are selling, you may offer ebooks, tip sheets, checklists, etc. The goal of this content is to make prospects aware of your product and how it can solve their problems. “Middle-funnel” content at the consideration stage may include competitor comparisons, case studies, FAQs, product webinars, white papers, etc. This content needs to explain why a solution like yours is the best and how it works. “Bottom of the funnel” decision stage content aims to generate buy-in and resolve barriers. Offer free trials, live demos, consultations, coupons etc. Creating the drip campaigns that will nurture your leads through your funnel becomes a scientific experiment when you fully understand the process and prepare your materials. There is no magic formula that works for everyone, you simply have to test things. Try different calls to action, messaging, and timing in email campaigns. Post different things on social media. And track everything. Maintaining meticulous records will allow you to prove what works, what converts, and what turns the leads into revenues. What kind of lead nurturing campaigns have worked for you? What kind of research was required to set them up properly? And what kinds of results did you find when you stopped stopping at lead capturing and expanded your obsession to lead nurturing? Are You Ready to Create a Sales and Marketing Alignment? 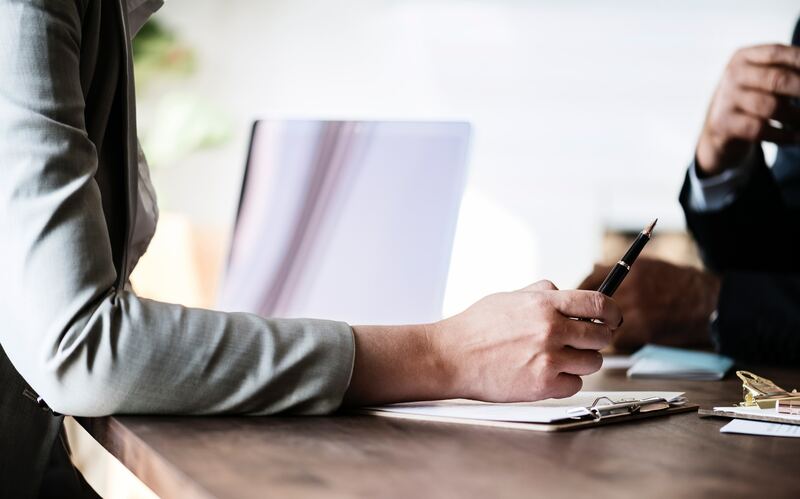 When your sales and marketing team are working in alignment, you’re going to be better able to track leads as they move through the buyer’s journey and create content that specifically addresses their needs. Then, it will be easy to distinguish which leads are ready to become customers. This can help the sales team be more effective when it comes to closing leads. Are you looking for a better way to develop an online strategy? KeyScouts can help. Contact us today for your free consultation. Will A.I. Replace Content Writers?